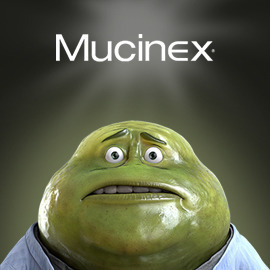 Show how Mucinex tackles mucus at its source through an original demo. We all intrinsically know life is great, but when we feel ill, it could definitely break our day - especially when we are suffering from little pains such as chest congestion, sinus pain or colds & flu. These conditions all have a common problem at their heart: Mucus! Mucus is very disruptive, so when it’s cleared out, it’s such a relief. Mucinex has found that the best way to help people feel truly relieved is to get rid of mucus at its source. Mucinex is a product that contains a special ingredient called Guaifenesin. It is the most effective at helping the body tackle the problematic excess of mucus. Find a creative and attractive way to show how Mucinex provides the best relief by tackling excess mucus at its source, with a physical demo idea that will work in stores. Format: PDF, visuals and descriptions. Deadline: September 27, 2015 23:59 UTC.